The Stent Tray is specifically designed for use with the Allegro®. It provides a platform for instrumentation or catheters, stents and guide wires and it moves with the table top when it is traveled. 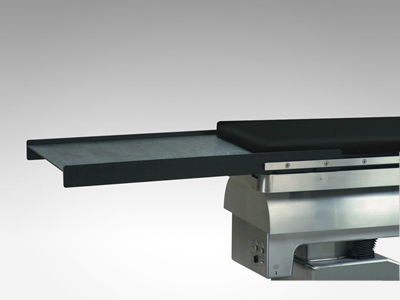 It easily mounts on the table top either at the pedestal or cantilever end allowing for its use with the patient in any orientation. – Stable; supports up to 25 lbs. (11.3 kg.